I tried searching first before posting but didn’t find anything regarding the problems I face. - Selecting “Playback” often shows a message about no recordings and refresh must be pressed 3-4 times to populate list and each subsequent folder/list is the same. My 936L is appearing on my iphone 6sP however I'm using 10.3.1 iOS and a DIR-890L wireless AP. What SD card do you have installed on the camera? 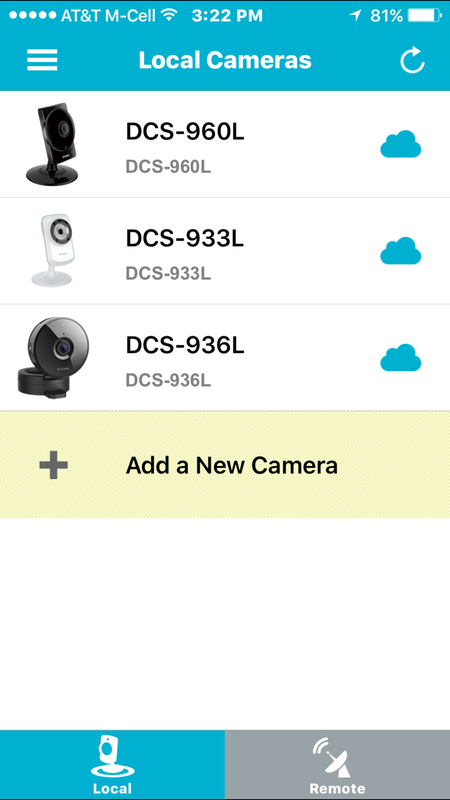 After you updated the FW on the camera, did you re-format the SD card? UPNP is enabled on the camera but I have UPNP Port Forwarding disabled because I manually set the port for remote access on the router. SD is a 64GB SanDisk card and was formatted before and after being installed in the camera to ensure operation. I believe this problem to be with the app because I don’t have any problems viewing the recordings from the web interface. PF is not needed generally for DCS cameras. IP address reservation is about all I used for my 3 cameras. uPnP is enabled on the router along with uPnP and uPnP PF on my 3 cameras. I believe it's not needed for a single camera however worth testing. I would disable the PF rules on the router and leave uPnP enabled on the router and camera and see how it goes.